Through voice and Accent's touchscreen, you can get to your favorite music, maps, messages, calling and more, seamlessly and safely. See what's ahead of you, even in reverse. Accent looks out for you and for those around you, by alerting you when slowing or stopped vehicles ahead could become potential collisions. If you don't change course to avoid impact, Accent will apply emergency brakes automatically. At Haselwood Hyundai, where the smart shoppers buy. Proudly serving drivers from Gig Harbor, Bainbridge Island, Port Orchard and beyond. For more information on the 2019 Hyundai Accent or to schedule a test drive, contact our sales staff or visit us in Bremerton today. 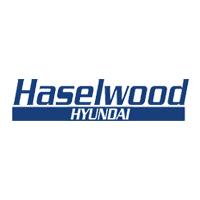 2019 Hyundai Accent Hyundai Accent 2019 Explore the 2019 Hyundai Accent at Haselwood Hyundai in Bremerton, WA. Huge on tech, safety and style. Come in for a test drive today.